Brussels sprouts and goat cheese. I mean can I get more grown up than this? Hmm, maybe I should review my finances and start thinking about taxes. Ew. The original recipe came from epicurious.com but I did make some modifications. I think you’ll like the changes. 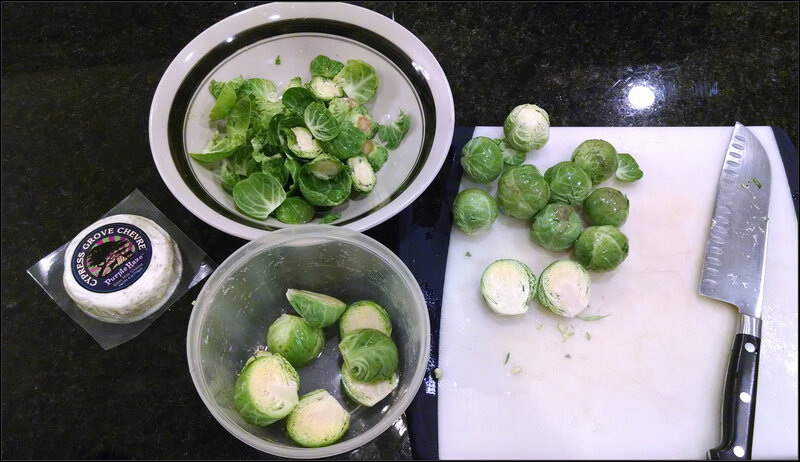 Cut the bottoms of the brussels sprouts and discard the outer leaves. If you compost, this is a great example of “green” to put in your composter. Take the shallots and cut them into quarters. After the oil has been warmed, place the shallots in the skillet. Try not to move them around in the pan too much so they get that caramelized color and flavor. 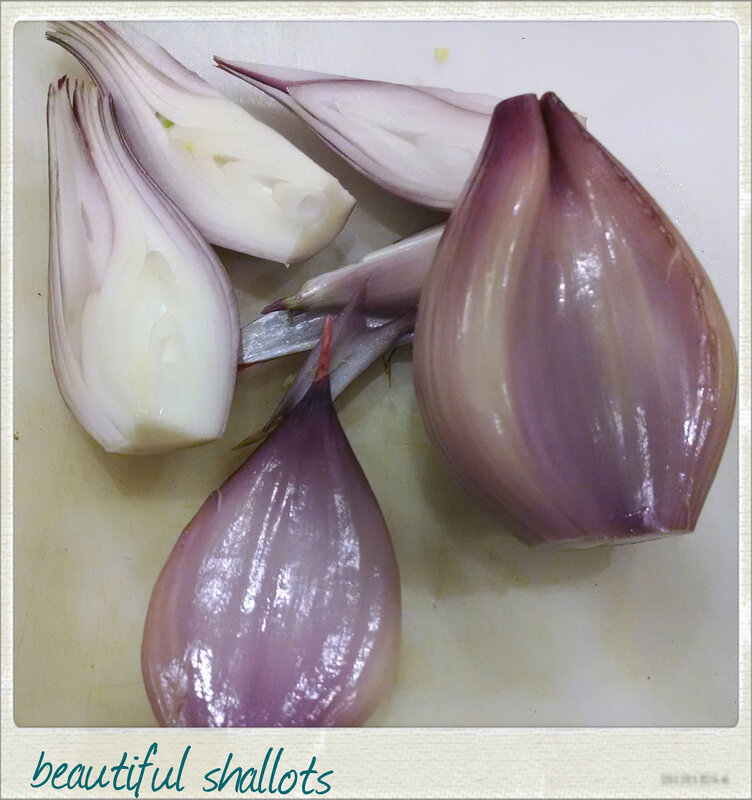 Remove the shallots and put them aside. Add a little more oil, if needed. Then put the brussels sprouts face down. After a couple of minutes and the brussels sprouts have caramelized take your tongs and allow them to cook on the other side. Add the shallots back in, season with salt, water and honey. 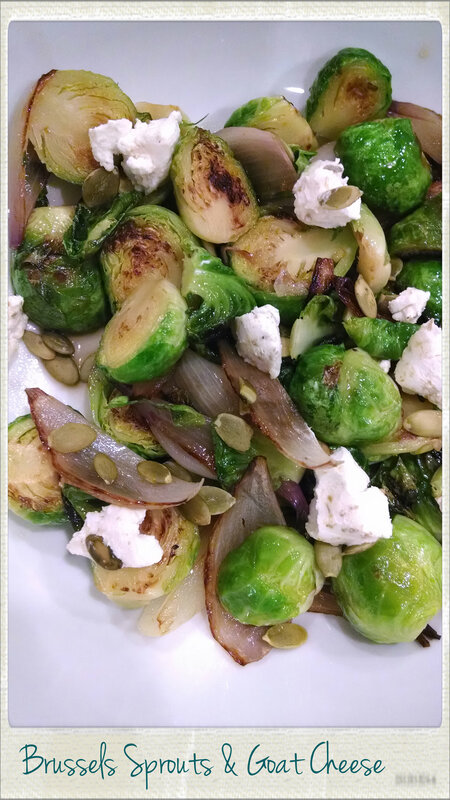 Place the brussels sprouts in your fancy adult bowl and sprinkle the pepitas and goat cheese. 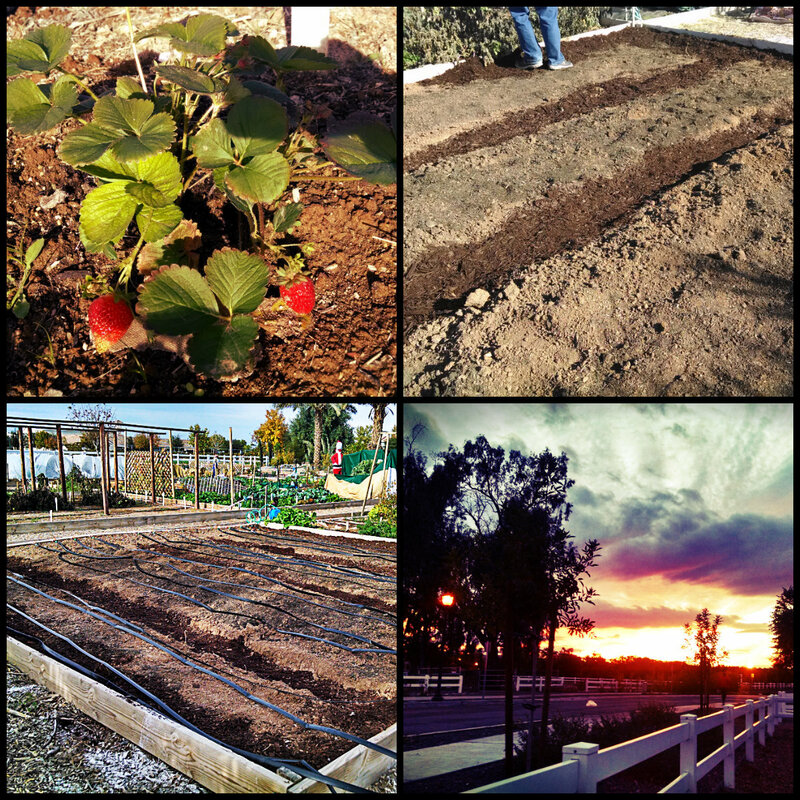 Eat and feel all good and growned up. Now that the dishes are done, I’m fantasizing about how one day those brussels sprouts and shallots will come from my garden. We are making some headway on that front but it’s all about patience now. Oh, and we should probably plant something. Meh. Details. This little bottle of salsa en polvo falls in to the following categories: memory foods, delicious and good-to-have-on-hand. Tajin, hailing from Jalisco, Mexico and consisting of chile peppers, salt and dehydrated lime juice, is the best seasoning for all your snacks. Growing up, Tajin (with some salt and hydrated lime juice) was the ideal seasoning for snacks or botanas. The cousins and I would fight over who got the seasoned lime juice after all the crunchy things were consumed. What can’t you put Tajin on? For crying out loud, you can even it put it in your beer. Check out this recipe for a delicious Michelada. Where Can You Get Tajin? I believe I even saw Tajin in Walmart. Trust me my culinary-adventurous friends, you need to try Tajin on some of your favorite foods. It’s fun with a mixture of slight heat and slightly sweet and with lime juice, deliciously sour and divine.